Single sided acid-free white linen cloth coated with an acid-free water activated starch adhesive system. 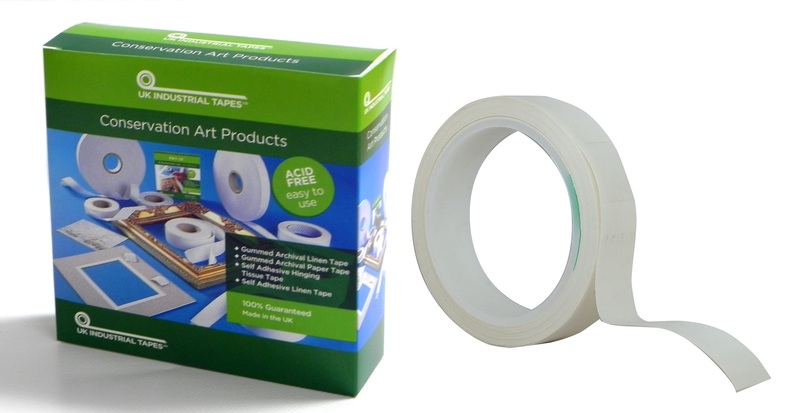 To activate the adhesive use water, preferably deionised water. Apply with a sponge to the gummed side or use through our gum paper tape dispenser.